New Year Attack on Northpointe! 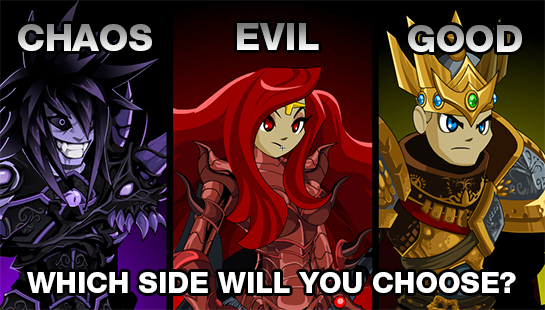 Starting TONIGHT, log into AQWorlds and /join grimattack to begin the Defense of Northpointe! Quest to unlock different versions of Memet's Fènnù de Hóuzi gear depending on your alignment. You'll also be able to re-play through all our previous New Year's events! Check out the New Year's events guideon the Lorepedia! 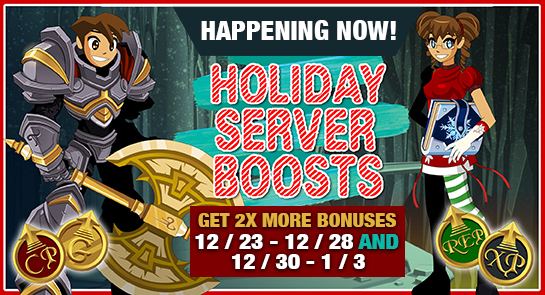 New Year Servers Boosts are LIVE! Tis the season to be giving... that's why we've doubled the Class Points, Reputation, Gold, and XP rewards on the servers until Monday, January 2nd! When you're not /partying, /cheering on the new year, or celebrating with family and friends, log in and BATTLE ON, because there's no better time to level up! Holiday Rares and Events leaving soon! 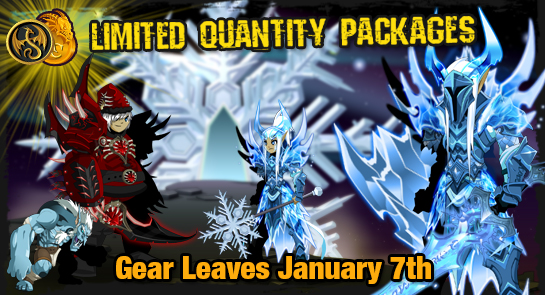 The Frostval Limited Quantity Packages leave this THURSDAY, January 7th. The Frostval events and Quibble Shop leave Friday, January 8th! The New Year's events and Rares shop will leave January 31st.